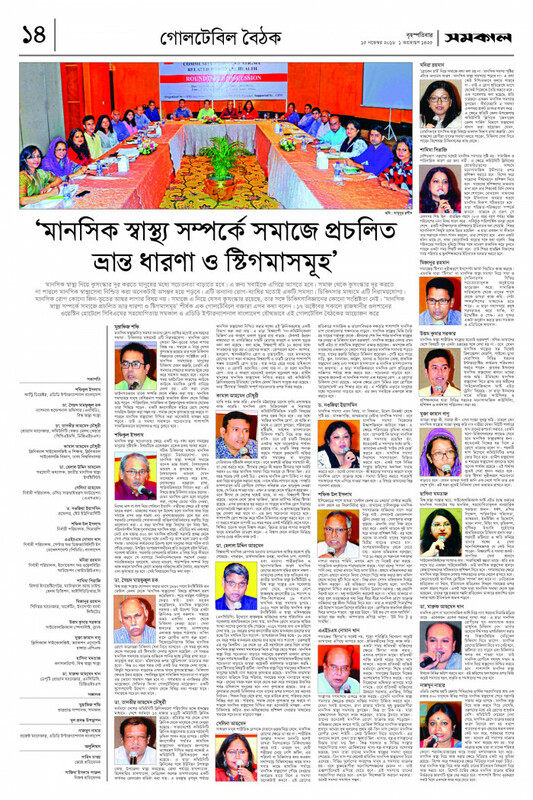 ADD International Bangladesh and The Daily Samakal jointly organized the discussion on 17 October 2018 in The Westin Hotel, Dhaka. News about this discussion was published in The Daily Samakal on 15 November, 2018. (http://epaper.samakal.com/nogor-edition/2018-11-15/14). The Community based Mental Health Services in Bangladesh Project of ADD International Bangladesh presented the family and community perception about Mental Health and its local healing. Representatives from WHO, National Institute of Mental Health, CBHC, NCDC of DG Health, Dhaka University Clinical Psychology Department, State University, CRP, CDD, IWF, ASF, Incepta Pharmaceuticals, Brac, ICDDRB, ACF were present in the discussion. It was a very fruitful discussion. Speakers highlighted their professional, practical and research experiences related to Mental Health Stigmas prevail in the society and how these are affecting people to become Persons with Psychosocial Disability. Importantly, speakers mentioned that the recent trend is that 14-25 age-group people are affecting, and women are still more vulnerable because cultural taboos and social barriers. It has emphasized that we need to talk more on this and appropriate message needs to disseminate to the people. Print and electronic media could play more positive role in publishing news and play a vital role in mass awareness and information sharing. ADD and Samakal express willingness to continue this fight against stigma along with other government, non-government organizations; research institutions; corporate bodies, educational Institutions and with community people.